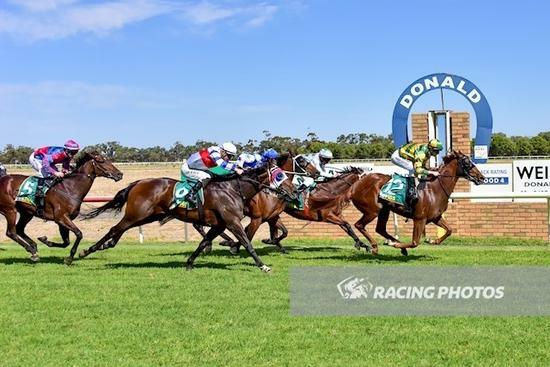 Three year old Albrecht filly Angola Miss was able to break her maiden at the transferred Ararat meeting to Donald in the 1600m race. With Harry Coffey in the saddle she jumped from barrier 8 and settled back second last in the field. At the 600m mark she was called upon and had to overcome switching off heels in the straight but kicked on well and was too strong to the line. She has had a consistent preparation and it was nice to see her make her way to the winners stall. The filly has had eight starts now for a win, two seconds and two thirds. Congratulations to her owners, we hope she will now continue on her winning way.